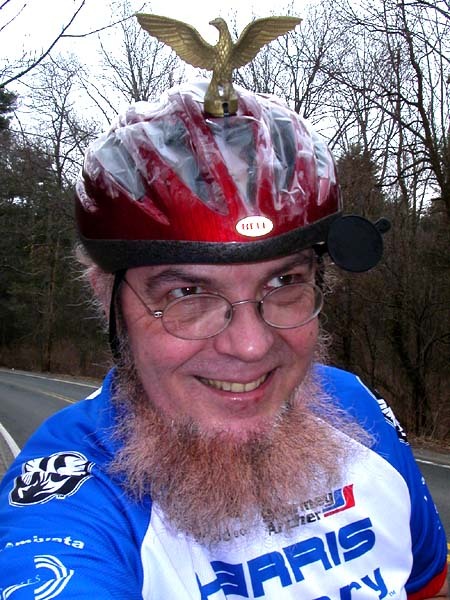 If you'r into bicycle, or fixed gear, you should have googled and found out his website to be your first building your first fixed gear "Sheldon Brown" , a beloved iconoclast bicycle tech guru, died Sunday from a heart attack. He was 63. Brown championed fixed gear bikes for years before they became essential fashion items for hip kids in New York and San Francisco and had a nearly encyclopedic knowledge of obscure bike parts, odd tire sizes and non-standard gear ratios. He was known for his generosity in helping DIY bike builders with their projects, for his love of weird old bikes, and his passion for cycling. Brown had been suffering from multiple sclerosis since 2005, which kept him from riding any of his dozens of two-wheeled bikes since September 2006. Brown is survived by his wife and two adult children. Brown worked as the technical guru and Webmaster for Harris Cyclery in West Newton, Massachusetts. In columns for cycling magazines and in essays on his blog, Brown championed bike technology that he loved - internal hubs, fixed gear bikes (including a fixie tandem) and homebuilt tandems. He gently ridiculed the current marketing rages of the cycling world (carbon fiber, titanium, racing bikes for everyone, etc.) every April 1 with fake new product announcements such as a titanium credit card with holes drilled in it to reduce weight. Brown's decidedly non-fancy website was a vital resource for cyclists, rich with hints on how to break in a Brooks leather saddle, technical explanations of the workings of 60 year-old internal hubs, and instructions on how to build a tandem from two old steel bike frames. Brown even lauded Shimano's much maligned Biopace chain rings (a non-round chain ring once made by Shimano). See also Patch.com, a planned memorial ride Thursday in Salt Lake City, memorial blog, Cycle Ninja, and MetroCyclist.